Only connected devices that connect deeply with their users will have staying power. 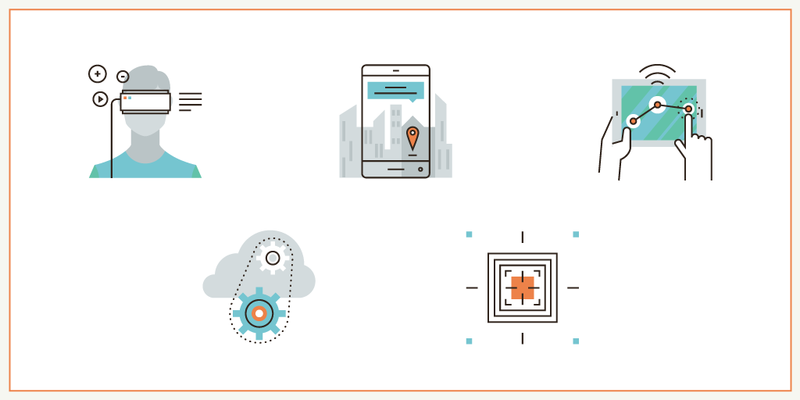 How do you strategize interaction design for Internet of Things products customers will love ? Visual has been far and away the most impactful branding element for products, but other modes are gaining strength and in some cases supplanting visual altogether. 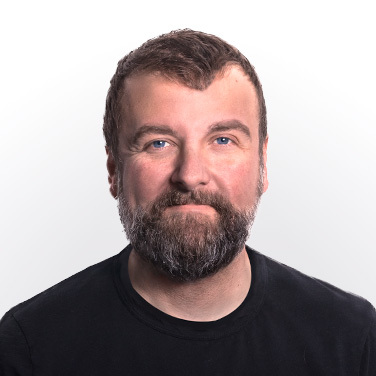 There is a lot more to brand language and to product experience than visual design, especially now that many of our appliances and devices are smart, or tech-embedded. In the past five years the accelerating adoption of technologies such as cloud computing, touch-sensitive surfaces, augmented reality, gestural interfaces, sensors, and virtual reality has transformed both product design and product branding. At the same time Wi-Fi modules, cloud service providers, chips, and other tools needed to connect products to the Internet have come down the cost curve to enable the continued growth of the IoT market. Whereas previously a company might have created product branding associations using exclusively physical elements such as form and shape, today these most often work in concert with digital or ambient interactions. The line between physical and digital continues to blur. 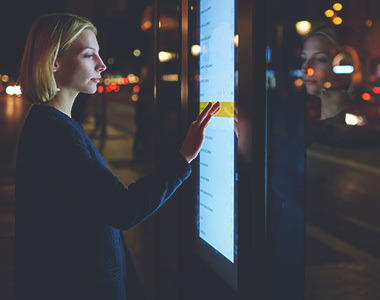 Physical no longer equals “object,” and digital no longer equals “screen.” Digital interactions are already being surpassed by ambient experiences and interactions. As technology increases products’ sophistication, it is also behind many of the factors redefining branding. Emotional, authentic, consistent branding across all touch points of a customer’s journey has become essential. This is partly due to a flowering of digitally-enabled entrepreneurship. Startup brands are able to clearly articulate their stories and quickly establish strong relationships with their audiences. As they level the playing field, established brands are catching on to branding’s new paradigm. Another factor is the new transparency afforded by Web search and social media, instruments that allow anyone to discover and disseminate information about a company. Brand is, again, the best tool to enable a company to craft and claim ownership of its story before anyone else does. The Internet of Things contributes to the growing complexity of product branding by changing the nature of the product-user relationship. As products become connected, they communicate and interact with users on new, more intimate levels. Designers are busy figuring out how to craft these new modes of interaction design for Internet of Things products that improve functionality, increase delight, and reinforce brand loyalty. Brand is most effective when a company views it as the story we tell ourselves about the nature of our relationship with a product or service, based on our perception of the experiences we have with it. These experiences are the sum of interactions and the emotions they evoke – how does the consumer feel as a result of each branded interaction along the product journey? Hopefully they feel surprised, delighted, joyful, amazed, or grateful – all positive emotions. Don Norman, author of The Design of Everyday Things, describes three modes in which consumers process these emotions: Visceral is the immediate emotional response, often sparked by visual and tactile stimuli. Behavioral occurs during the continued use of the product, when each action generates an evaluation measured against an expectation. Finally, Reflective is how consumers think back on product experiences. 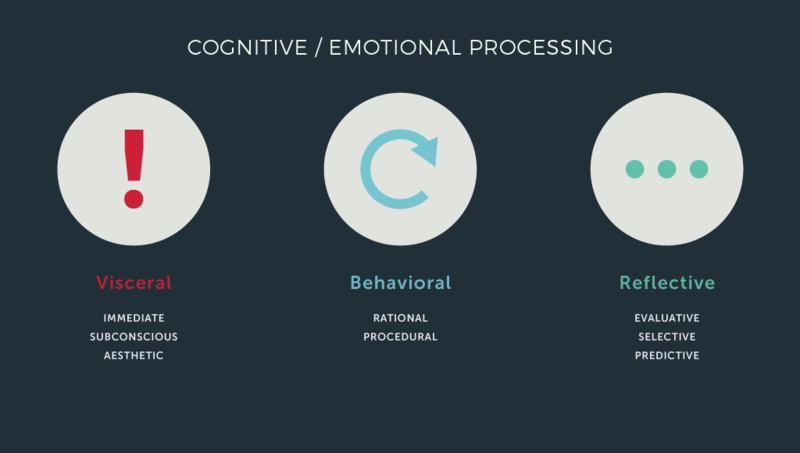 There are three ways consumers process the emotions evoked by interactions with products: visceral, behavioral, and reflective. It’s important to remember that users often weigh visceral and behavioral inaccurately. Things that are attractive are often remembered as having worked better, even if they didn’t. And brands that already enjoy positive associations are remembered fondly even if, in reality, the painful moments outweighed the good ones. Disruptive interactions change the way people fundamentally interact in a space or with aspects of a product or service. When successful, these interactions become the new standard, leading people to wonder, “Why hasn’t it always been like this?” Some examples are Uber, which disrupted the way people hire cars; AirBnB, which disrupted the way people travel; and Moen’s motion-sensitive faucet, which disrupted the way people activate one of the most used household appliances. 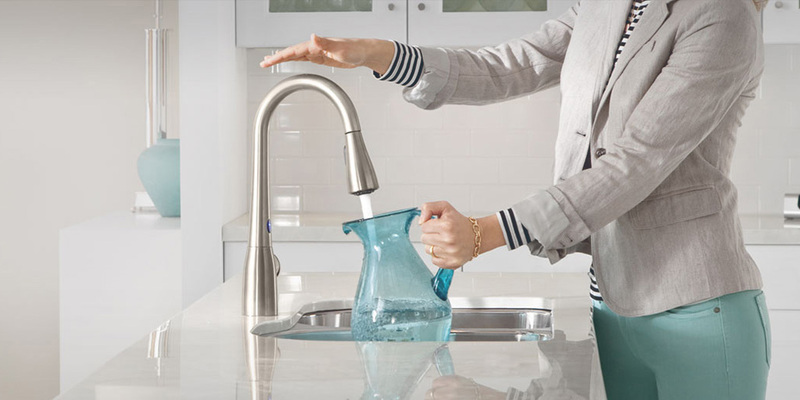 Moen’s motion-sensitive faucet is a good example of a disruptive interaction in a digital-physical product. It successfully amplifies Moen’s brand values. Macro-Interactions are large moments of impact that happen at key touch points along the customer’s end-to-end journey. Specifically designed to elicit emotions at key impact points, these are akin to what branding professionals call ”signature moments.” Apple products’ unboxing experience, described as “holy” on fan site Cult of Mac, is a classic example. Technically complex products are packaged like fine jewelry, and the company demonstrates the high value it assigns its packaging by patenting it. Micro-Interactions are the small, repetitive moments of satisfaction that solidify a brand relationship over time. Primarily functional, they most closely parallel visual design elements such as color scheme and logo that were so important in the past. Digital or functional in nature, these tiny moments of interaction and brand reinforcement happen over and over again. One example is Tesla’s magical door handle, which extends to greet you when it senses a key is nearby. 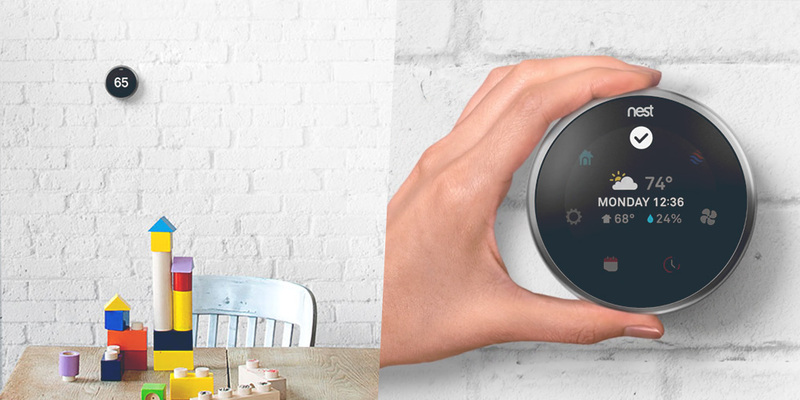 Another is Nest’s Farsight, which adjusts the thermostat’s user interface based on how far away you’re standing. Prior to Farsight, you had to be three feet or closer to the unit in order for its interface to detect your presence and “wake up.” With Farsight, you can be up to twenty feet away, and it activates a larger, more legible display when it senses you’re at this greater distance. This feature amplifies the “thoughtful” part of Nest’s triumvirate of brand values: simple, beautiful, and thoughtful. Nest’s Farsight feature is the type of micro-interaction that increases users’ love for a brand by anticipating how to make their lives easier. In the new world of digital-physical products, these interactions can be purely physical (think of the pop of a Snapple cap); digital (Facebook’s “Like” button); or digital-physical (Tesla’s door handle or the Moen faucet). Some are core functions – interactions that are performed many times a day. Others are designed for maximum impact at one key touch point, such as at unboxing or first use. Form a Cross-Disciplinary Team. Interaction designers are playing an increasingly larger role in providing brand resonance. 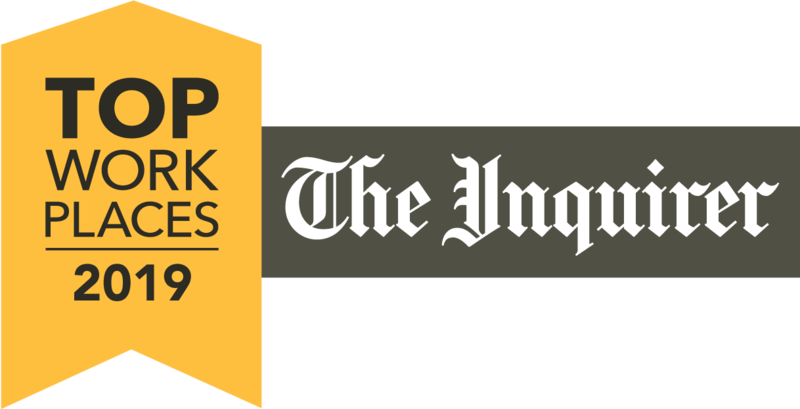 Set up a brand-oriented design team that thinks both digitally and physically. Working in parallel, industrial and interaction design develop innovative ideas for a visual brand language and for a look and feel that is unified across all modes. Understand Your Brand. How will your brand’s values, mission, vision, and character inform the experience? Brand values created for corporate marketing and communications guidelines often don’t translate easily to tangible design attributes. Through collaborative stakeholder reviews, seek to define the values and that differentiate your products from a physical and experiential perspective. Emotion. They evoke emotions that are positive and memorable, and that strengthen the relationship between a person and a brand. Authenticity. They tie directly back to brand values, and faithfully express brand personality. They demonstrate to a customer what a brand considers to be important and worthwhile. Consistency. Building trust is crucial to a brand. Without consistent interactions, customers won’t know what to expect. Consistency of interaction across all touch points is difficult to pull off, but when done well, it’s extremely powerful. Technology. Most wouldn’t be possible without relatively recent technology such as touch-sensitive surfaces and ambient experiences enabled by sensors. Consider the End-to-End Customer Journey. Where are your opportunities to make an impact? A customer’s journey begins with Awareness and ends with Advocacy. 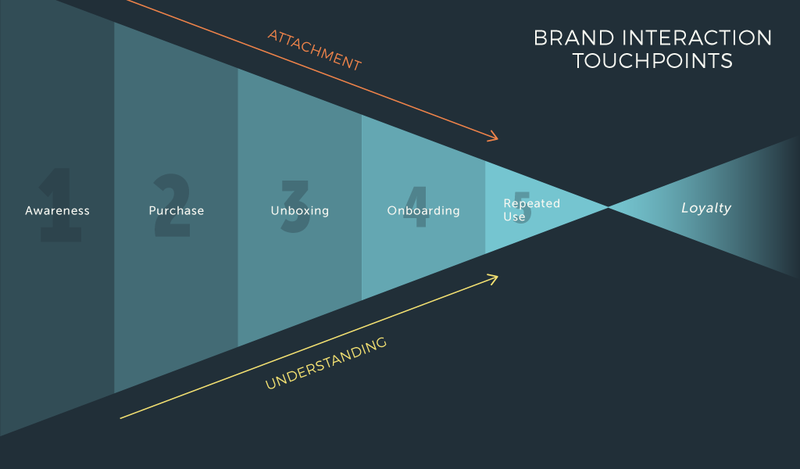 In between are Purchase, Unboxing, Onboarding, and Repeated Use. As customers move through this funnel, there are key points where brands can create impactful interactions. Each touch point along the end-to-end journey is an opportunity to make an impact. During the journey, two things happen: The customer develops an emotional attachment to the brand based on the experiences and interactions. And as the customer’s understanding of how to interact with the product or service increases, he moves from novice to expert to evangelist. Most of All, Craft a Great Story. What story will your customer perceive from experiencing the end-to-end journey? Plain and simple: Make it great.